William was the second son of John the Marshal, by Sibyl, the daughter of Walter de Salisbury and sister of Patrick, Earl of Wiltshire. Much of his youth was spent as a Royal hostage constantly under the threat of execution from King Stephen who wished to ensure his father's loyalty after he had fortified Hamstead Marshall Castle, near Newbury, against him in 1153. William succeeded to the title of Earl of Pembroke through his marriage to Isabel, daughter of Richard de Clare, the 2nd Earl. He joined the household of Prince Henry 'the Young King' in 1170 and remained in his service until his unexpected death thirteen years later. Although William had assisted the prince in rebelling against his father, he had also served with distinction on crusade in the Holy Land for two years. King Henry II therefore forgave his previous misdemeanours and allowed him to enter Royal service around 1188. The following year, he commanded the forces which covered the King's flight from Le Mans to Chinon, unhorsing the treacherous Prince Richard the Lion-Heart in the process. Nevertheless, when Richard became King himself, he forgave Marshal and confirmed his father's licence for him to marry the heiress of Chepstow and Pembroke. William thus obtained the rank of Earl, with vast estates in Wales and Ireland. In 1190, he was promoted to serve on the Council of Regency which the King left to rule during his absence on the Third Crusade. When, three years later, Prince John expelled William Longchamp, the Justiciar of England, the Earl of Pembroke supported him, though later he joined the loyalist party in making war upon the same man and headed the siege surrounding him at Windsor Castle. King Richard allowed William to succeed his brother, John Marshal, in the hereditary marshalship and, on his death-bed, designated him Custodian of Rouen and of the Royal treasure during the interregnum. 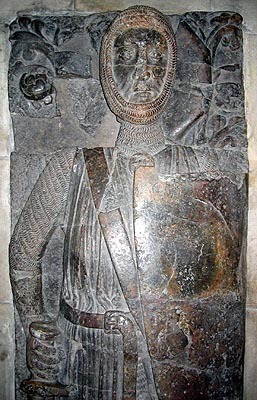 Though William fell out with the next monarch, King John, on several occasions, he was one of the few English laymen who remained loyal to him throughout the Barons' War. He was an executor of John's will and was, subsequently in 1216, elected Regent of Kingdom by the Royalist barons. Pembroke was remarkably energetic in prosecuting the war against Prince Louis of France who had invaded England in support of the Rebel Barons. At the Battle of Lincoln, in May 1217, he was at the forefront of the fighting and, later, he prepared the young King Henry III's army for a siege on London, when the war was ended by Hubert de Burgh's Naval victory in the straits of Dover. Pembroke was criticized for the generous terms he allowed Louis and the Rebel Barons in September 1217, but his desire for a speedy settlement was dictated by sound statesmanship. Self-restraint and compromise were the cornerstones of all Marshal's policies. Both before and after the peace of 1217, he reissued the Magna Carta. He fell ill early in the year 1219 and died on 14th March at his fortified-manor (or castle) in Caversham, on the Thames near Reading. He was succeeded in the Regency, by Hubert de Burgh, and in his earldom, by his five sons in succession.